Homeownership remains a big part of the American dream for many. At Brock Built, we love helping people become new homeowners. This is one of the main reasons we’re a dedicated family of homebuilders. 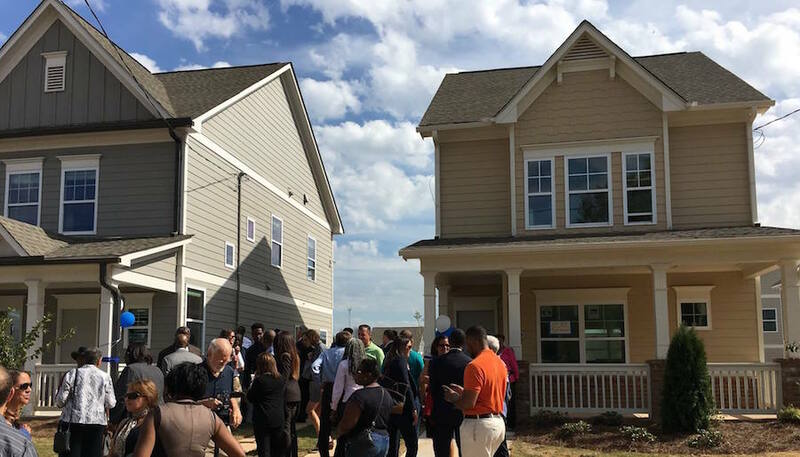 Recently in one of Atlanta’s oldest neighborhoods, Mechanicsville, we had the pleasure of celebrating the construction of Georgia’s first single family, affordable home construction project, Mechanicsville Cityside. Mechanicsville is a historic neighborhood that began during Atlanta’s reconstruction in 1870. The community gets its unique name from the numerous railway mechanics that lived here with their families in the late 19th century. The proximity of nearby rail lines, just south of downtown Atlanta, made it an excellent location for commuting to work. Besides the rail workers that lived in the neighborhood, Mechanicsville was also considered a dynamic multi-ethnic community and home to middle-class merchants, budding entrepreneurs, and working-class families all living in the area. Located just west of the current Turner Field, there are several reasons Mechanicsville has current and future potential. This aging neighborhood is poised to once again to become a thriving intown Atlanta neighborhood. With a fresh modern vision underway, thanks in part to the Mechanicsville Cityside project. Plus, there are other plans being developed by the new owners of the Ted and their partners. This new Mechanicsville housing development and revitalization project is focused on increasing the availability of affordable, quality housing to the local workforce. Instead of federal funds being used to build another apartment complex in the area, the Mechanicsville Cityside project will offer 70+ new or refurbished detached single family homes. All being offered under a lease-purchase program. This will be a new type of housing available in the city. Mayor Reed wants to create more affordable homebuying options for working-class families. By building new homes and refurbishing existing homes in Mechanicsville, Brock Built is helping more people become homeowners. We also helped by laying out a quality of life community master plan that includes new sidewalks and tree-lined streets. Plus, vital green space for residents to enjoy. And, all the new homes being built here will receive green building certifications from the professionals at SK Collaborative. 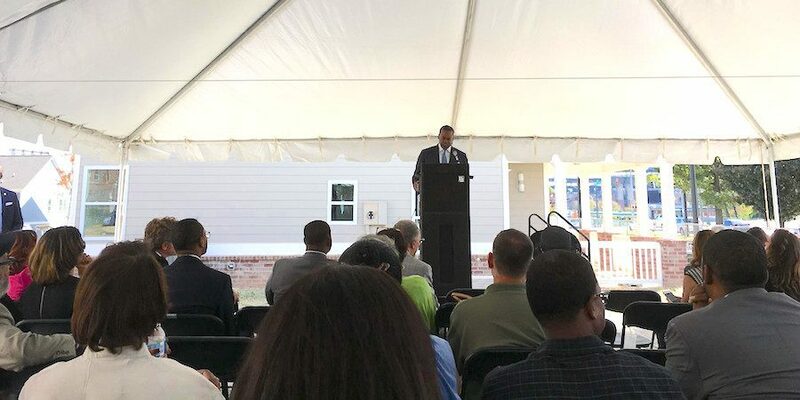 On October 20th, a ribbon-cutting ceremony was co-hosted by Mayor Kasim Reed, Councilmember Cleta Winslow, The Dept of Planning & Community Development, Summech CDC, The State of Georgia, Columbia Residential, and Brock Built Homes to celebrate the project. The City of Atlanta has worked with local residents for many years to adopt a Community Redevelopment Plan for Mechanicsville solely aimed at revitalizing the neighborhood. Special thanks to the U.S. Department of Housing and Urban Development (HUD) for the nearly 6 million dollars in approved funding assistance. Without this funding, Mechanicsville Cityside would not be where it is today.